People like puppies. Yesterday, at 2p.m. 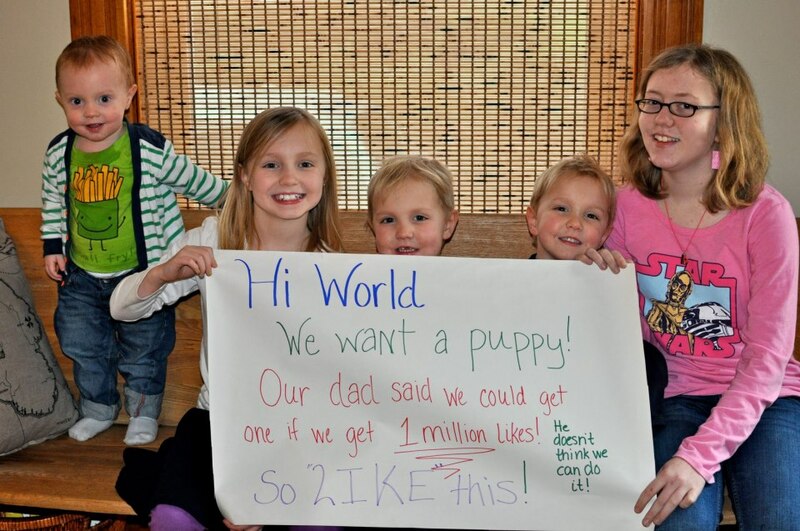 (PST), the Facebook page Twogirlsandapuppy was created, presumably because two girls wanted a puppy and their dad said they could get one if their page got 1 million likes. It showed up in my Facebook feed because several friends had liked the picture, and five friends had even liked the page. Less than seven hours later, skeptical dad realized he’d be buying a puppy.